Long ago in a monastery, there lived a very wise monk named Jim Charles Ederson. He was from Brazil but had great English. Jim Charles was also the oldest of the monks. One day when he was teaching a Portugues visitor English the bells of battle rang. He grabbed his valuables and dashed to the round tower. The ladder was already being pulled up. Jim Charles was not seen or heard so he had to fight. He defeated all the Vikings and saved the monastery but he also died. He was buried under his statue and he was remembered forever. Hi Matthew I really liked your story because the monk sounded brave. It reminds me of the monks stories we did in school. How did the monk die ?. I like your story because Monks are a great thing to write about. Your story was the best I’ve read so far. I love the way that you link your story with history. It was sad when Jim Charles Ederson died. Your story was the best story I’ve read so far. That monk must have been very brave. I liked your story because it was interesting to read. It reminds me of the time when we learned about vikings. I wonder how did the monk die. Hope he lived and battled for survivle. He must have been good at surviving. What a simply FANTASTIC take on the prompt Matthew. A really, really well written story. You’ve shown great imagination here and while I was sad to read that Jim died, the statue is a nice tribute to him. Keep up the great work! I really liked your creative writing. I’ve never read a 100WC like it. What made you write about Brazil? Why did the war start? 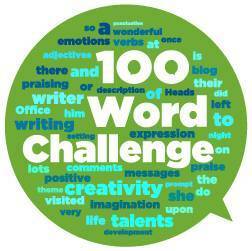 You could improve your writing by adding more descriptive words. Well done Matthew, you’ve done a great job this week. I really like your story, it’s a great use of the prompt picture. Another great story Mathew – well done! I like how they put up a statue in his honour so he would be remembered forever.